I’m sure you’ve noticed the shrinking backyard trend. Today, subdivisions crowd homes so close, you can almost hear your neighbor’s toilet flush. Whether you want to raise a harvest in the city or country, “growing up” is the way to go! And even city transplants can grow their own veggies, thanks to “growing up”! I’m Janet Combs, and have been gardening since I was knee high to a grasshopper. In my opinion, there’s no better place to be but outdoors, playing in the dirt! After my grandfather passed away, we sold the farm. I must admit, where we moved to is limestone city. Add clay soil on top of that and you’ve got a mess to try to plow up. While it wasn’t possible to plow the land for a garden, we eventually discovered vertical gardening techniques. I am convinced that once you see how easy it is to grow vegetables and fruits with little green space, you’ll never stop! Year after year, you’ll find new ways to garden vertically. I’m totally hooked. P.S. Remember, there is absolutely no risk to you whatsoever. If you’re not thrilled with your Vertical Gardening Secrets Package, every penny will be refunded no questions asked! 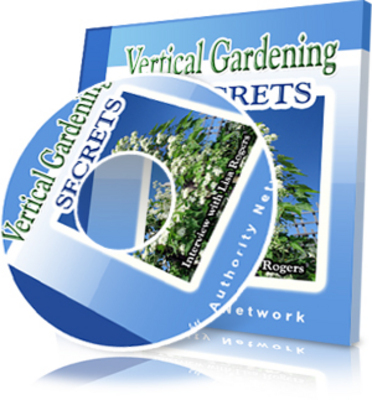 Vertical Gardening Secrets container gardening;vertical gardening 99106094 16.97 janetcombs Fresh Download Available!